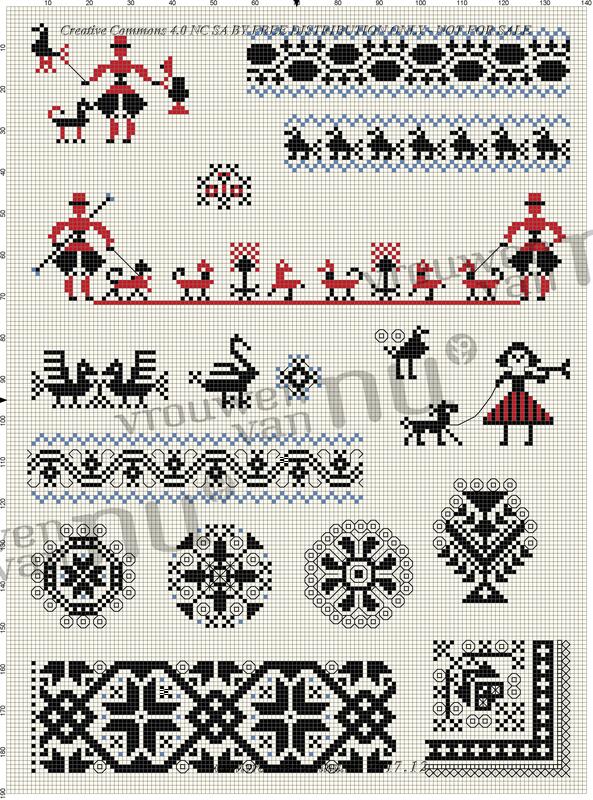 24 plates of Dutch folk art motifs, including 12 plates of cross stitch motifs taken from antique samplers. The others show cookie shapes, bent iron work, and other surface and withdrawn thread/darned embroidery and cutwork embroidery patterns from clothes. The flyer announcing the intial pulbication is also included. From the collection of Mary Fennema, published by kind permission of the copyright holder, Vrouwen Van Nu.